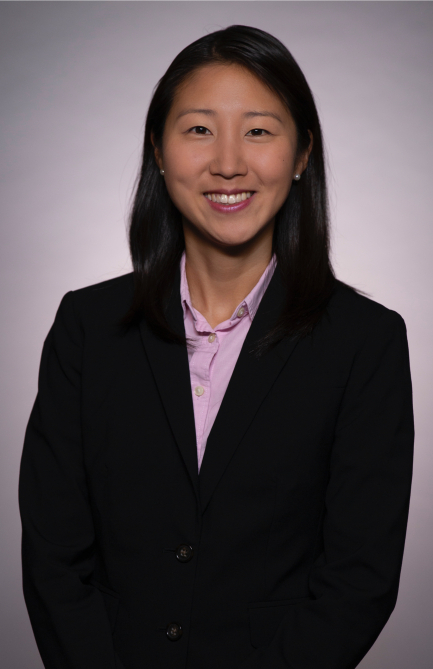 Minyoung Jang, MD is a fellowship-trained pediatric otolaryngologist at New York-Presbyterian/ Morgan Stanley Children's Hospital. She treats the entire spectrum of ear, nose/sinus, and throat disorders in children of all ages. Her special interests include the management of pediatric airway and voice disorders, hearing loss, and neck masses including salivary, thyroid and vascular anomalies. Dr. Jang received her bachelor’s degree from the Massachusetts Institute of Technology and medical degree from Rutgers Robert Wood Johnson Medical School. During medical school, she was selected to perform translational research at the National Institutes of Health through the Medical Scholars Research Program. She subsequently completed her residency training in otolaryngology-head and neck surgery at Boston University’s Boston Medical Center, and her fellowship in pediatric otolaryngology at the Children’s Hospital of Wisconsin in Milwaukee. Dr. Jang is a member of the American Academy of Otolaryngology-Head and Neck Surgery and is Board Certified in Otolaryngology. She is the author or co-author of several journal articles and textbook chapters, and regularly presents her research at national meetings. She believes that every child is unique, and enjoys working with families to provide the best possible care that is right for them. She looks forward to meeting you at either the main Columbia University Medical Campus or midtown locations. 1. Jang, M.,Levi, J.R., and Grundfast, K.M. "The Mass in the Neck in the Pediatric Age Group”.Decision Making in Otolaryngology,2nded.Ed. Alper, C.,Myers, E., and Eibling, D.Jaypee Medical Publishers, 2018. 2. Jang M,Plocienniczak MJ, Mehrazarin K, Bala W, Wong K, Levi JR. Evaluating the impact of translated written discharge instructions for patients with limited English language proficiency. Int J Pediatr Otorhinolaryngol. 2018 Aug; 111:75-79. 4. Jang, M.,Rubin, S.R., Stein, D.J., and Noordzij, J.P.Randomized double blind trial of amitriptyline versus placebo in treatment of chronic laryngopharyngeal neuropathy. Am J Otolaryngol. 2017 Nov - Dec;38(6):683-687. 5. DePietro ,J.D.,Jang, M., Sjogren, E.V., Dikkers, F.G., Cohen, S.M., Noordzij, J.P. Management of chronic laryngopharyngeal neuropathy in the United States and Europe. Ann Otol Rhinol Laryngol. (2015) 124(4):305-11.